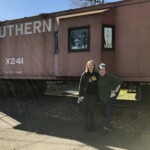 *Spoilers* Just Jess is joined by podcaster Stephanie Williams at Heroes Aren't Hard to Find to break down the recent episode of Black Lightning. 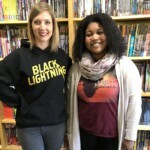 Just Jess is live from Heroes Aren’t Hard to Find comic book store breaking down the most recent episode of Black Lightning. 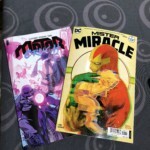 (Spoilers) This week, Super Chat welcomes guest Stephanie Williams, co-host of “Misty Knight’s Uninformed Afro Podcast” and host of “The Lemonade Podcast.” Find out Stephanie’s top 3 comic picks of the week and join the chat about Gambi theories, sibling powers and Lady Eve’s reincarnation abilities.